Politics • Republican spends day in Tripoli looking into security. Rep. Jason Chaffetz traveled to Libya last weekend, getting an on-the-ground assessment of the attack that killed Ambassador Christopher Stevens and three other Americans. Specifically, he wanted to probe whether claims for more security were denied by the U.S. government. He's now back in Washington, D.C., preparing for a House hearing Wednesday that will probe the Sept. 11 assault in the volatile north African country. Chaffetz has blasted the administration of President Barack Obama for repeatedly claiming the attack was a protest gone bad and instigated by a Web video created in California that included crude depictions of the Prophet Muhammad, while intelligence has indicated it was a coordinated attack. The White House has more recently called it a terrorist attack. Democrats have charged the House hearing is more about presidential politics than a true investigation of an international disaster. 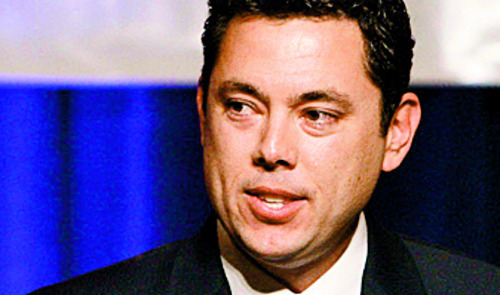 The Utah congressman is the chairman of a House subcommittee that oversees foreign affairs and Homeland Security. He spent a day in the U.S. embassy in Tripoli, talking to security personnel and other State Department staff. 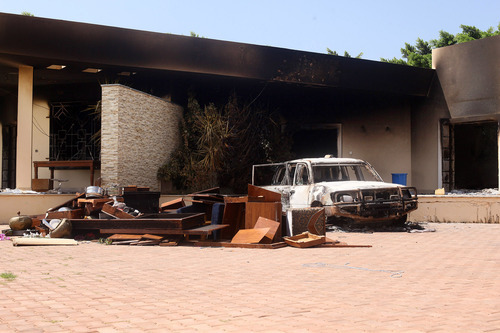 The attack took place in Benghazi, in buildings that were far less secure than the main embassy. He sought information about the "lack of development of physical infrastructure for security" and "the apparent reduction in security personnel" leading up to the attack," he said. Chaffetz, a frequent surrogate for Republican presidential nominee Mitt Romney on the campaign trail, said House Republican leaders are still finalizing the witness list for Wednesday's hearing, but confirmed that they have subpoenaed Lt. Col. Andy Wood, a Utah National Guard Army Green Beret. Wood led a security team in Libya from February until August and has told congressional investigators that his requests for more security were denied and that he was concerned about the unpredictable conditions in the country. Libya is struggling to create a new democracy after rebels with the help of the United States overthrew dictator Moammar Gadhafi.